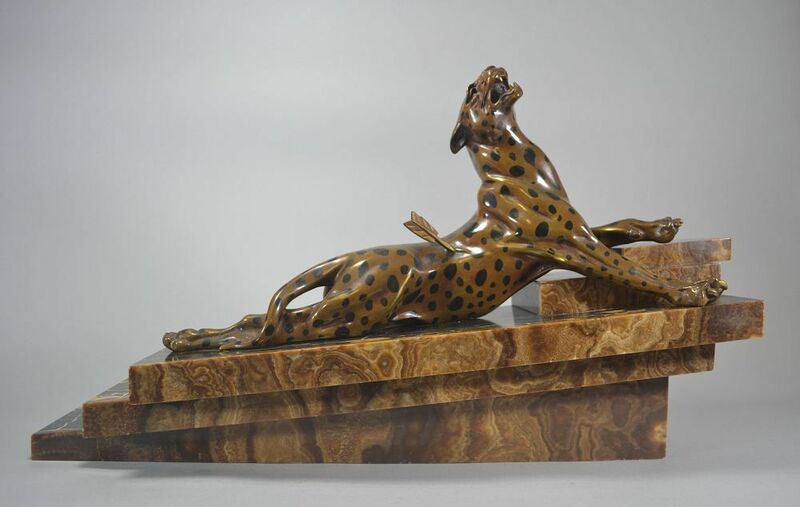 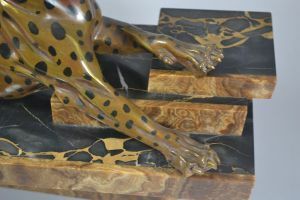 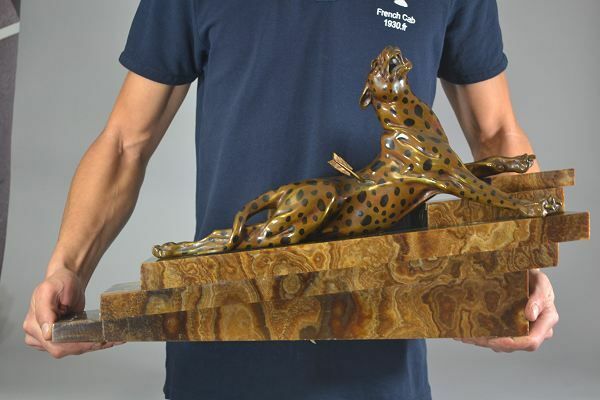 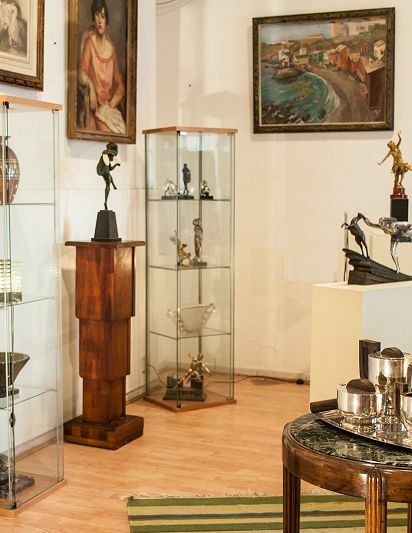 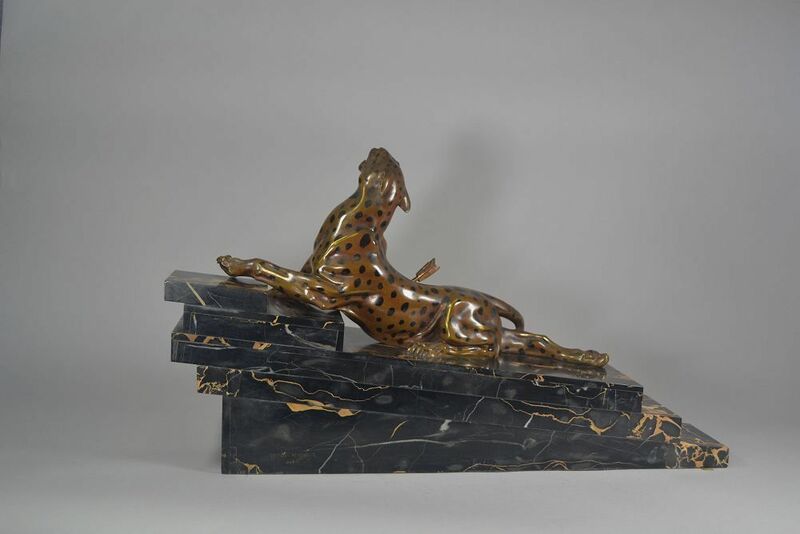 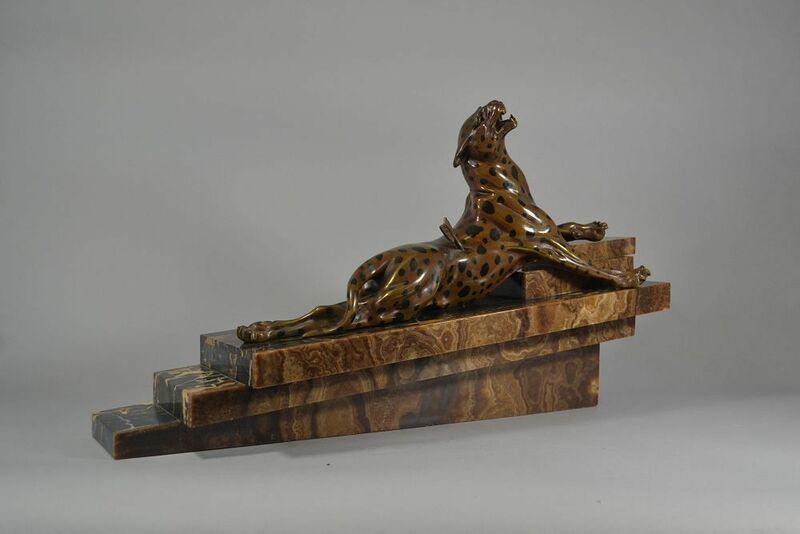 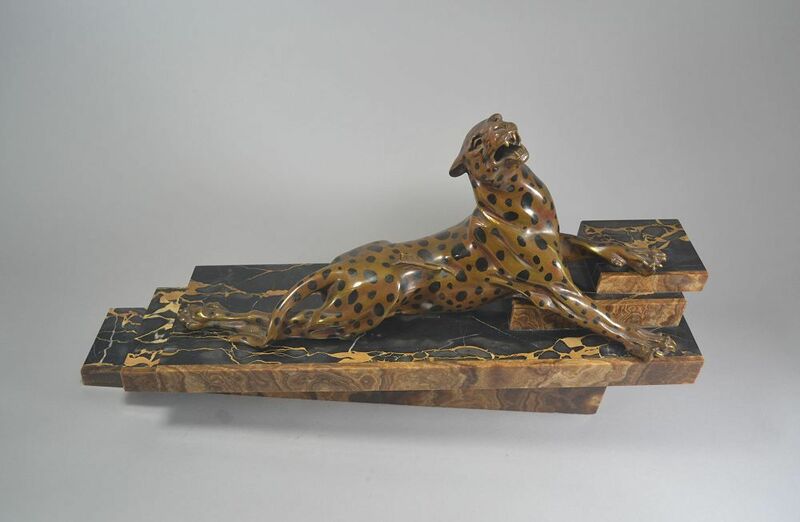 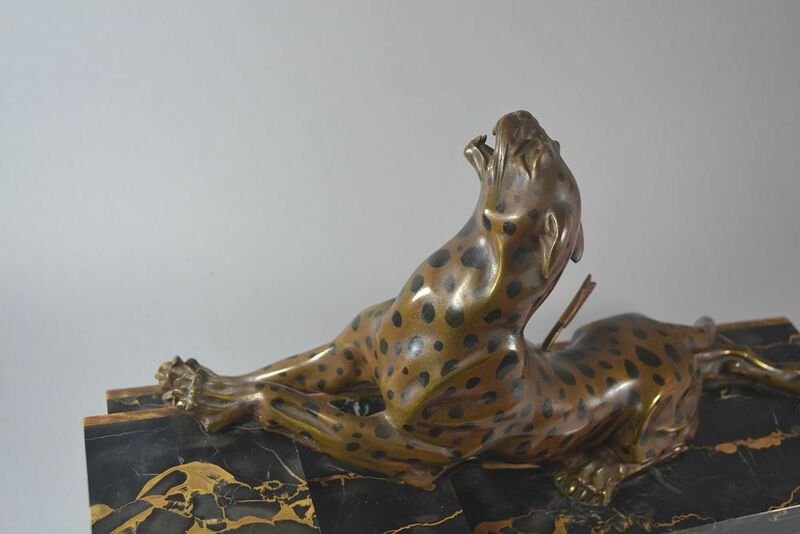 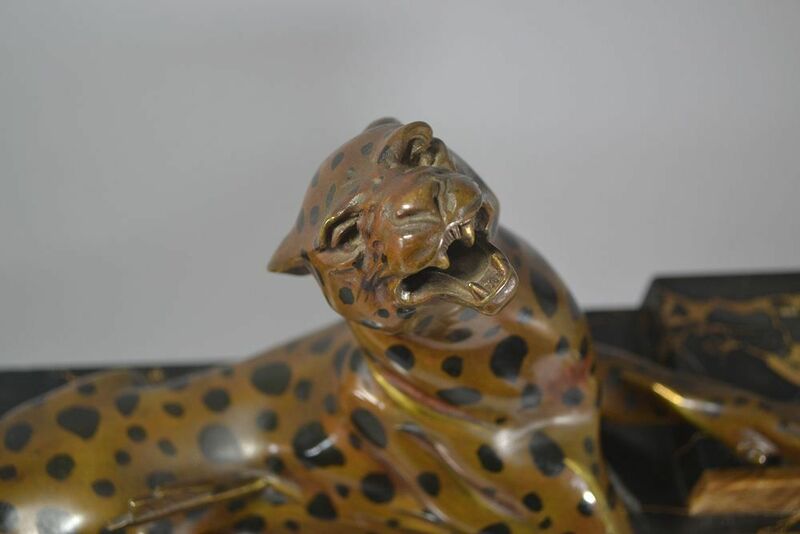 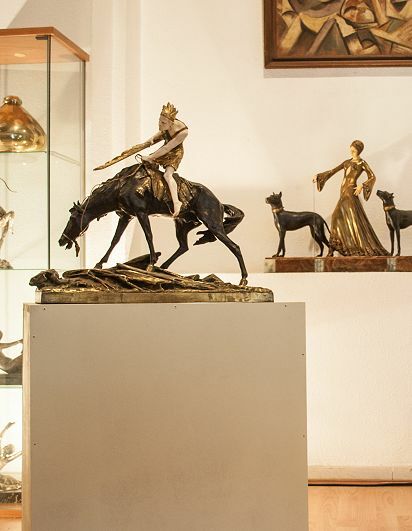 An impressive art deco bronze panther on a sophisticated marble and onyx base. A unique and wonderful dinanderie patina on the bronze panther. 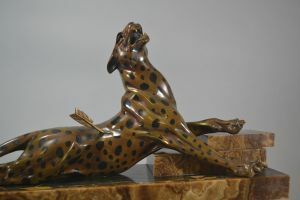 Condition is excellent even for patina that is so often destroyed by years.